cdcindonesia.com - The enthusiasm of all job seekers, the following is information about job vacancies that come from one of the companies engaged in Islamic banking in Indonesia, namely:PT Bank Syariah Mandiri - BSM or known as "Mandiri Syariah" is the largest sharia bank in Indonesia. 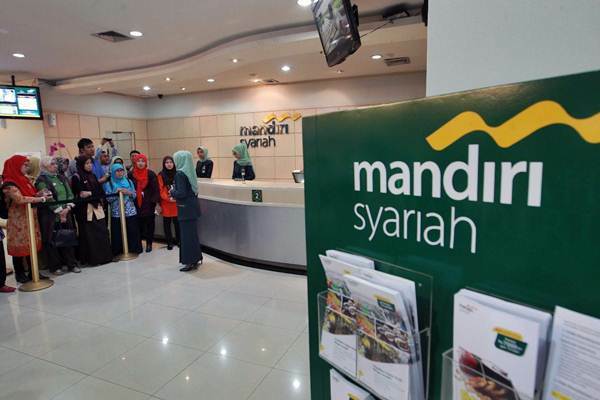 PT Bank Syariah Mandiri is a directly-owned subsidiary company of state-owned lender PT Bank Mandiri (Persero) Tbk. At present, PT Bank Mandiri (Persero) Tbk hold 99.999999% shares in PT Bank Syariah Mandiri and the rest is owned by PT Mandiri Sekuritas. Headquartered in Jakarta, Mandiri Syariah has 3 main products/services ; financing product, funding product, and product services. As of December 2017, Mandiri Syariah offer services through more than 765 office networks and directly employs more than 15,659 employees. Mandiri Syariah also supported by more than 287,113 ATMs networks (BSM, Bank Mandiri, ATM Bersama, ATM Prima, MEPS). Maximum age of 26 years old at the initial selection. Bachelor or Master Degree (S1 / S2) in Law. Minimum GPA of 3.00 for S1 and 3.20 for S2. Bachelor or Master Degree (S1 / S2) in Informatics Engineering, Electrical Engineering, Informatics System, Informatics Management, Mathematics, Statistics and Engineering. Final year students who have completed the theory or free theory from selected universities are welcome to apply. Strong academic results with minimum GPA of 3.00 for S1 and 3.20 for S2. Single/not married and willing to not get married during the ODP education period. Have good communication and analytical skills, can work in teams / individuals, adapt quickly and have high motivation in a career in the IT Field. Have never participated in the selection process of Bank Syariah Mandiri employees in the last 6 months.